The staff of Law Offices of Sanjay Bhardwaj specialize in intellectual property, with special emphasis on patents. Let our patent practitioners provide you with reliable legal advice and exceptional service. The Law Offices also serve clients in Family Law, Personal Injury and contracts. For all the legal services you need, turn to the experienced professionals at the Law Offices of Sanjay Bhardwaj in Fremont, California. 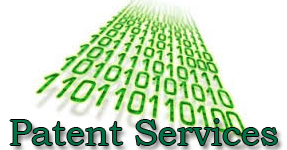 Our specialty is providing services in the area of intellectual property, with emphasis on patent. Professionals have worked as technologists in the areas of networking and processor design for startups as well as large companies. Our trained personnel will assist you with a wide range of services to help you through the legal processes. Selective cases are taken in Family Law (Child Support, Child Custody, Spousal Support, Alimony & Property Division), Personal Injury, and Contracts with appellate services at both state and federal courts. Contact us in Fremont, California, and ask about our legal services specialized on patents.